Pudsey Bear paid a visit to Archbishop Courtenay Primary School on Tuesday 14th November 2017 to help us go Spotacular for BBC Children in Need. Lloyds Bank and BBC Children in Need’s schools fundraising campaign, The Big Spotacular, has seen schools and nurseries across the country adding a spotty theme to their fundraising, whether they’ve organised a Pudsey picnic for their little ones, a spotty bake sale or a sponsored challenge for their older pupils, to raise more money than ever before for disadvantaged children and young people. 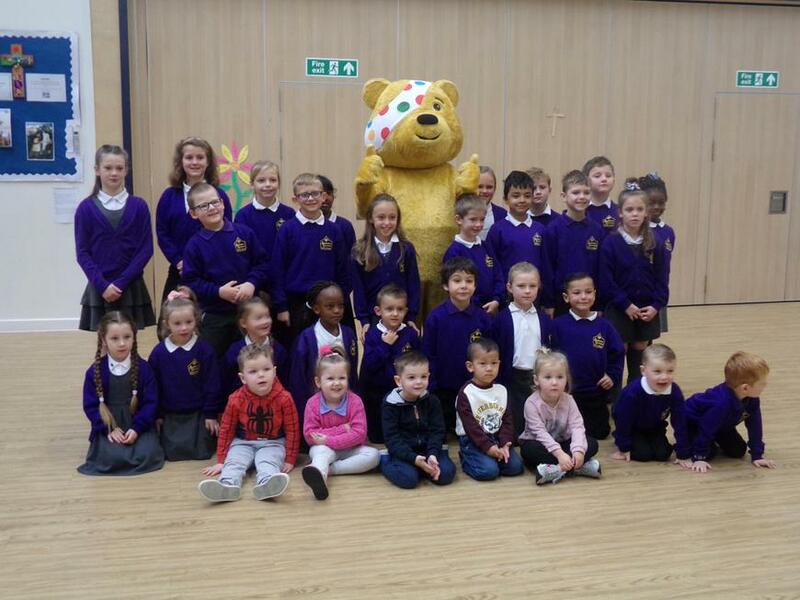 As part of the programme, and organised by staff at Lloyds Bank, Pudsey Bear was invited to surprise pupils and thank them for their hard work raising funds and learning about the work the charity does helping disadvantaged children and young people across the country. As part of Archbishop Courtenay Primary School’s fundraising plans, pupils will be holding a non uniform Spotacular Day on Friday 17th November. 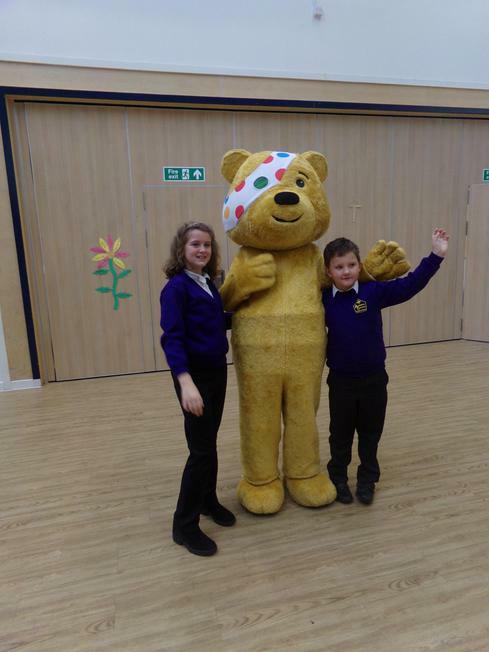 Tanya Rabin, BBC Children in Need Partnership Lead at Lloyds Banking Group said: “We are delighted to be able to have Pudsey visit Archbishop Courtenay Primary School and meet the children and the teachers who have been fundraising for BBC Children in Need through the Lloyds Bank Spotacular”.